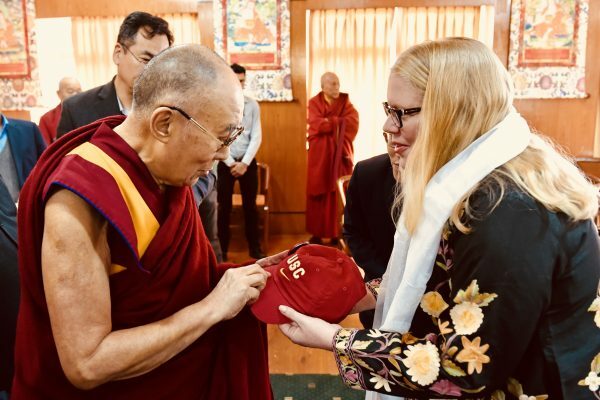 Brie Loskota was part of a U.S. Institute of Peace delegation that met with the His Holiness the Dalai Lama to discuss peace-building. USIP brought youth leaders from 12 countries impacted by war and conflict to the two-day meeting with the Nobel Peace Prize recipient. Loskota conducted trainings to prepare the youth for their meeting and then to help them bring their experience home and amplify the lessons through communication, storytelling, interfaith dialogue and advocacy strategies. 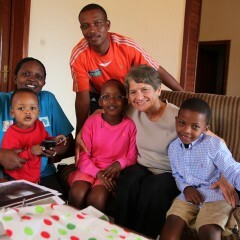 The group included five alumni of Generation Change, the fellowship program that USIP and CRCC run together. Al Jazeera’s The Stream also broadcast a special program with USIP’s visit with the Dalai Lama. At 4:55, the Dalai Lama addresses Loskota’s question about what the U.S. can learn from youth leaders around the globe. What can the US learn from youth peace makers around the globe, especially as our country becomes more divided and mass violence increases?